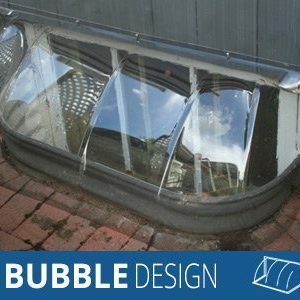 Crystal-Clear Polycarbonate that is 250 times stronger than glass! 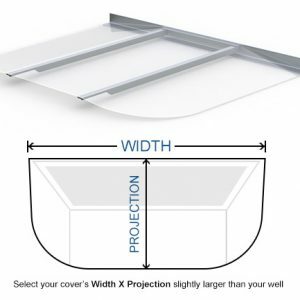 When selecting a cover size, be sure the cover is at least 1/2″ bigger, on each side, than the size of your well! 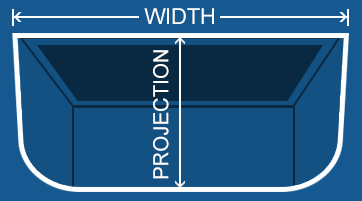 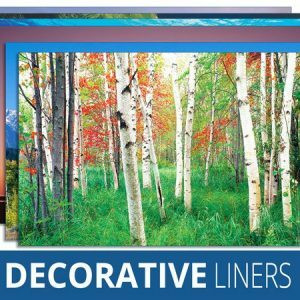 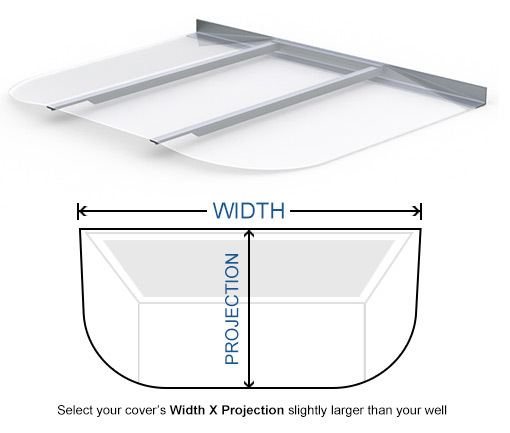 For Example: If your well is 42″ wide x 38″ projection, choose a cover at least 43″ wide x 38.5″ projection.If your well is in-between corner radiuses and the cover comes in 2 radius options, choose the SMALLER radius. 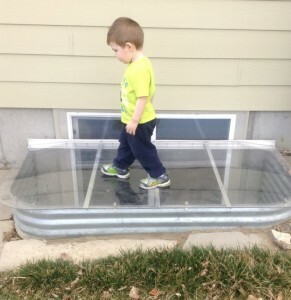 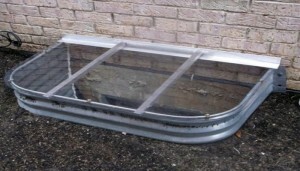 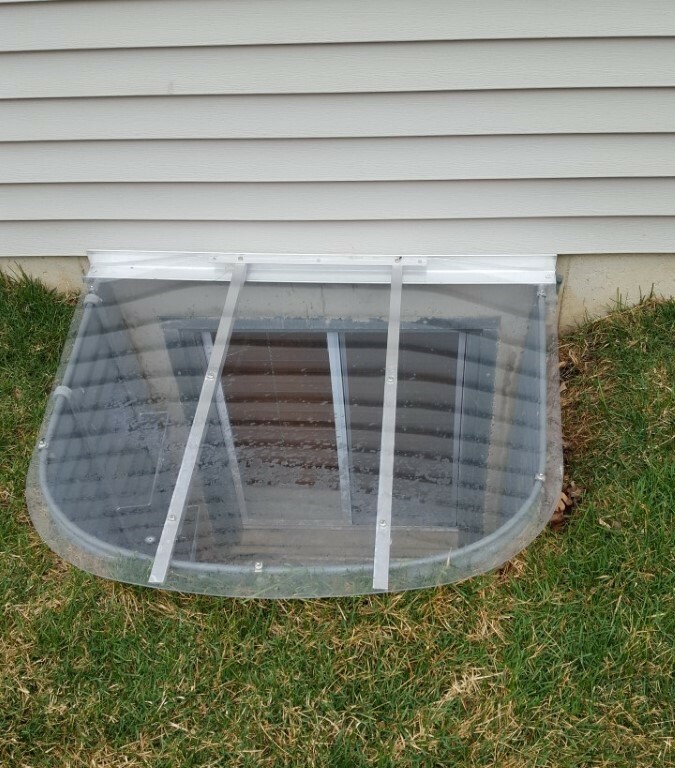 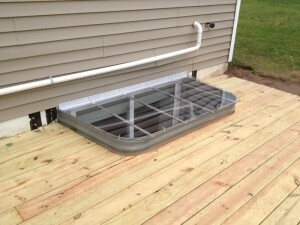 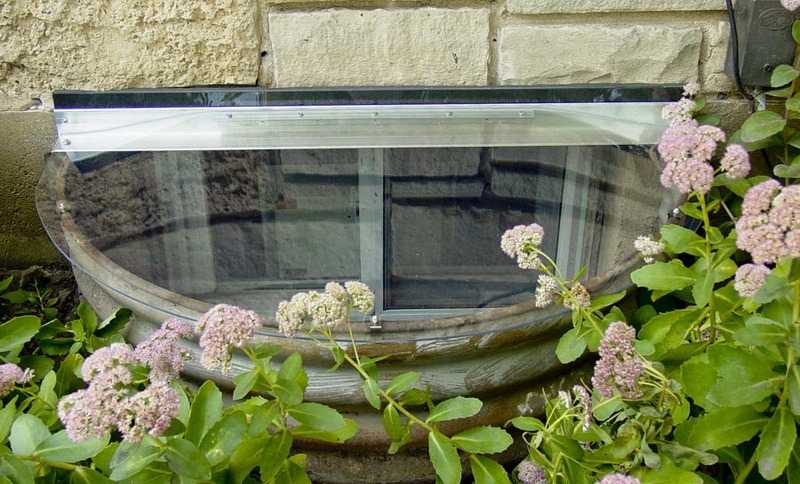 OUR MOST POPULAR STYLE: Our heavy duty unbreakable Sloped Window Well Covers have a 2″ slope built in to the cover so it effectively sheds water away from your home and are made of UV treated, crystal clear Polycarbonate to let light into your basement. 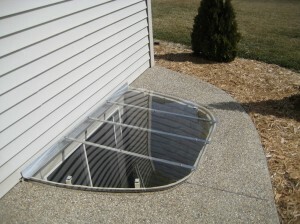 They are available in varying sizes to cover the most commonly used metal window wells across the USA and Canada. 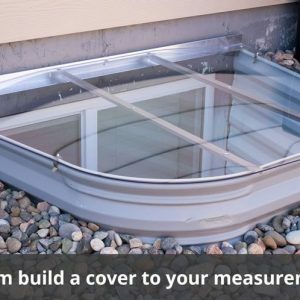 The covers are designed to overlap the rim of your window well by at least .5″ to keep the majority of the precipitation out of your well. 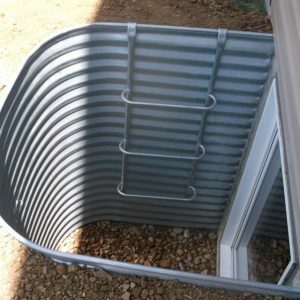 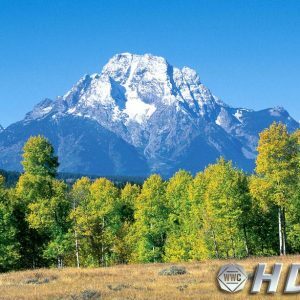 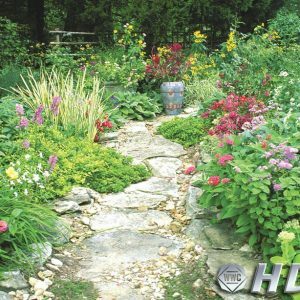 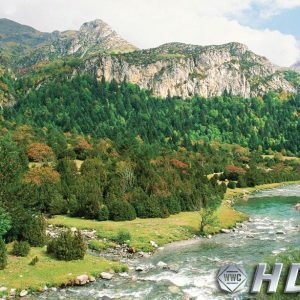 Made of the same high-quality materials as the Sloped version, but without the 2″ slope at the back of the cover to aid in rain, water, and snow run-off. 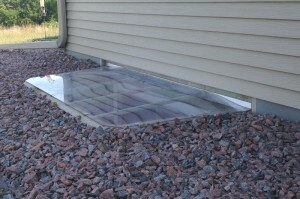 Do-It-Yourself Installation that takes under 15-45 minutes depending on your cover size. 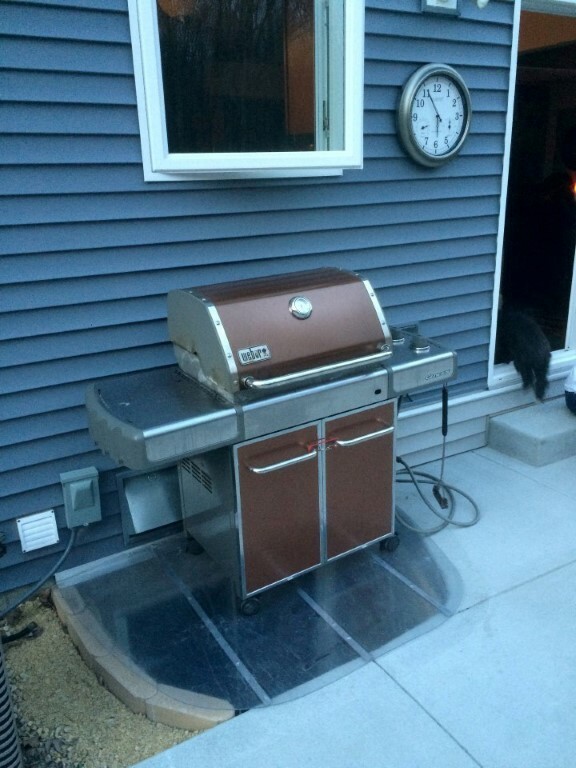 Tools needed for installation: drill, screwdriver, and a permanent marker… that’s it! Mounting clips are screwed onto your cover and clip to the lip of your metal window well. 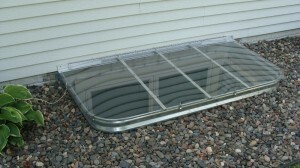 The crystal clear Polycarbonate has a UV cap sheet treatment to prevent yellowing, splitting and cracking. 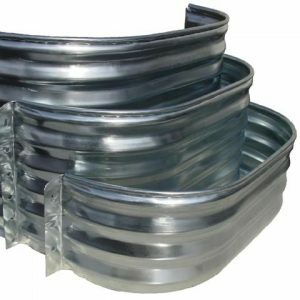 This is not the cheap plastic you find at your local hardware store, this looks and functions like glass – with added durability and toughness. 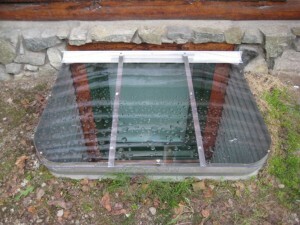 These covers are designed to pop off for emergency egress. 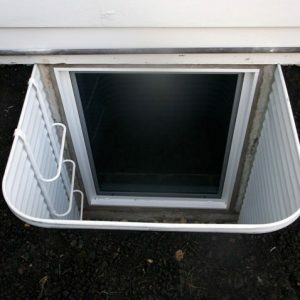 These covers will bear 400 pounds of static weight. 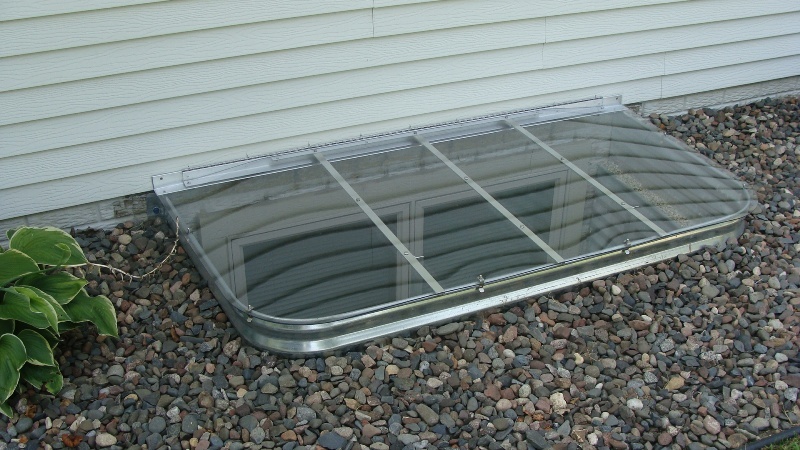 This prevents people and animals, dirt, debris, snow and rain from getting into your window wells; preventing a host of maintenance problems. 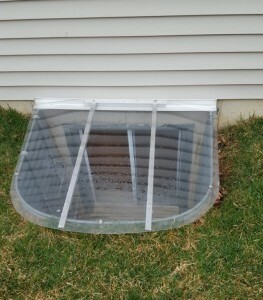 The cover will be self cleaning with the spray of a hose or a steady rain. 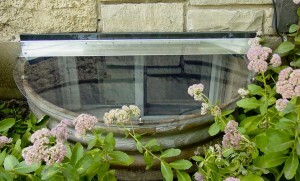 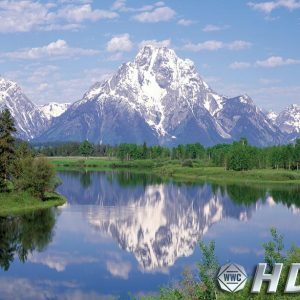 The cover will stay clearer and cleaner with less maintenance. 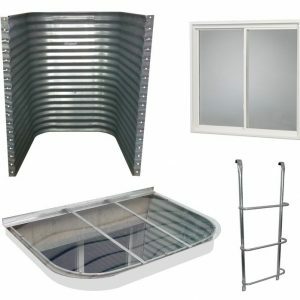 All metal is rust free, either aluminum or stainless steel. 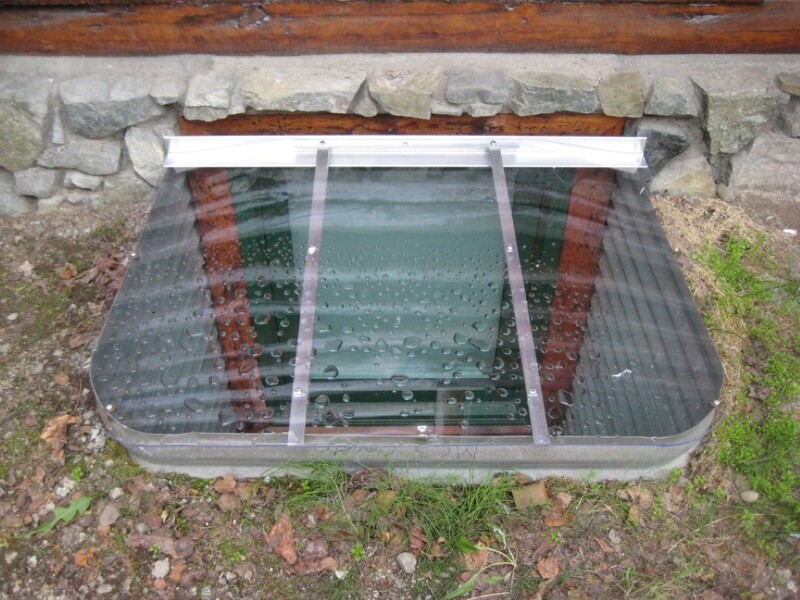 Covers are virtually unbreakable – 250 times stronger than glass. All hardware and do-it-yourself installation instructions are included.